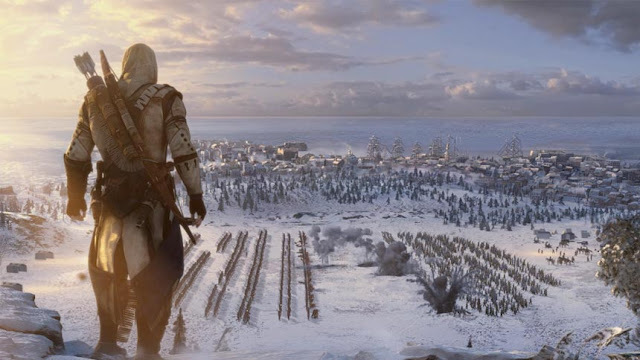 After days and months of waiting, with rumours, spoilers and leakage cropping out of every corner of the internet, there's finally an official announcement on Assassins Creed 3. And yes, the rumours are true, there will be a change of setting and scenery, and the plot will be based on the American Revolution between the Brits and the, Americans obviously. Though nothing has been said about the supposedly new protagonist named Connor, the trailer did tell us that tree-travelling will be possible and will play a big part of the game considering most battle sequences seem to partake in the dense, snowy, alpine trees. What do you think about the change of setting during the American Revolution?